Today’s home is an architectural landmark on over 100 acres in Lake Creek Valley, just four miles from Downtown Edwards. This stunning house was designed by Architectural Digest Top 100 recipient, Annabelle Selldorf. 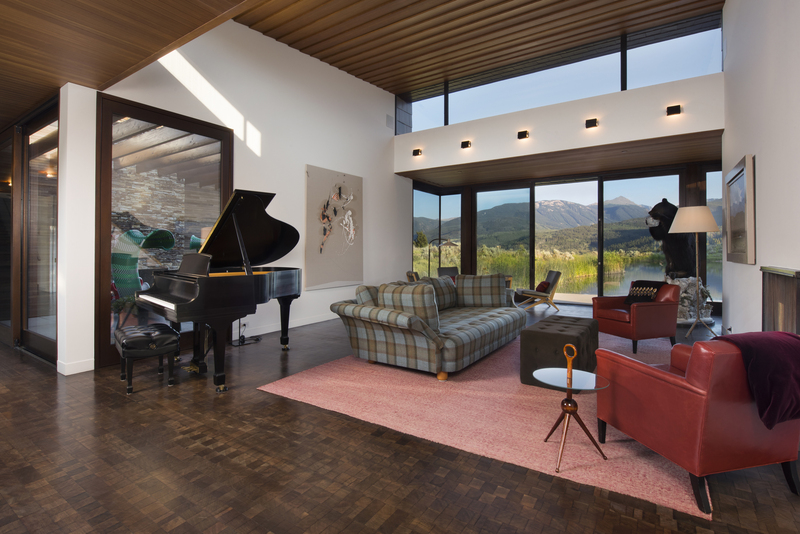 Located within the White River National Forest Mountain Range, this 10,515 square foot house is orientated towards a new pond and the spectacular views of the surrounding Gore Range and New York Mountain. 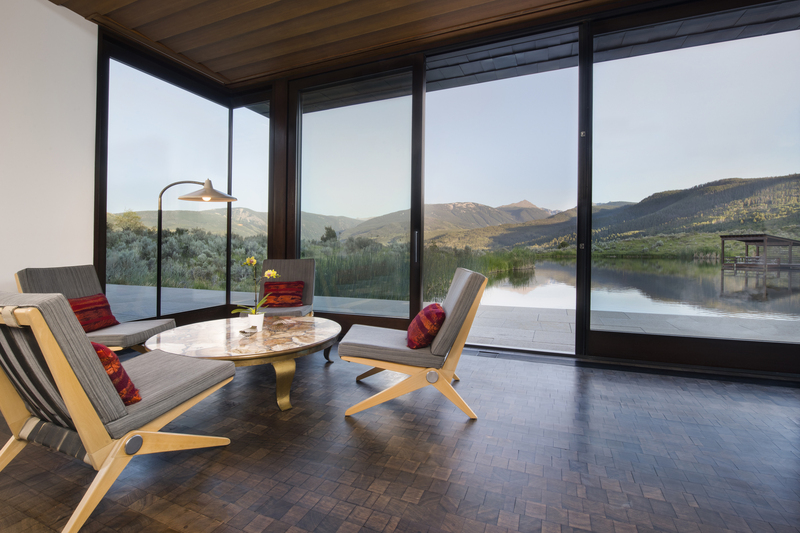 The home is built around a central landscaped courtyard, creating an intimate counterpoint to the massive scale of the surrounding mountains. 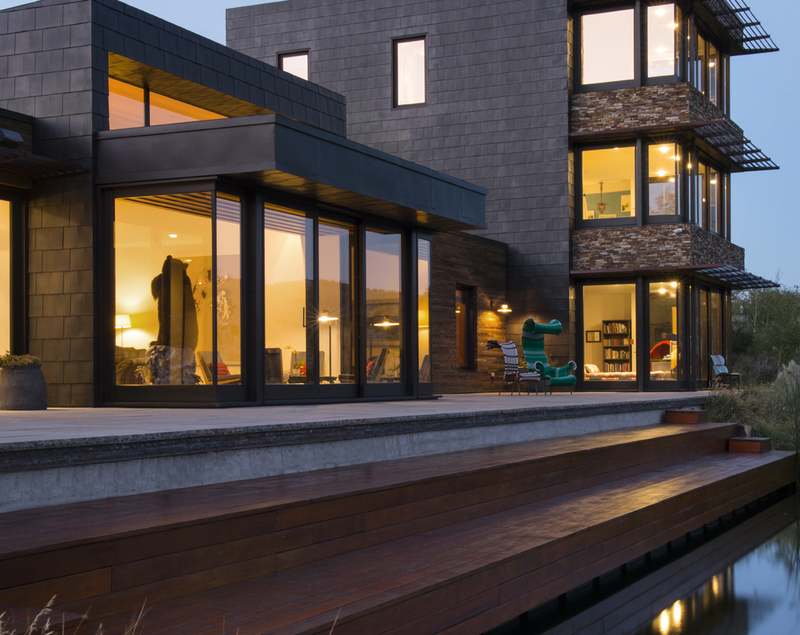 The open, light filled meticulous design fuses the architecture with the outdoors. 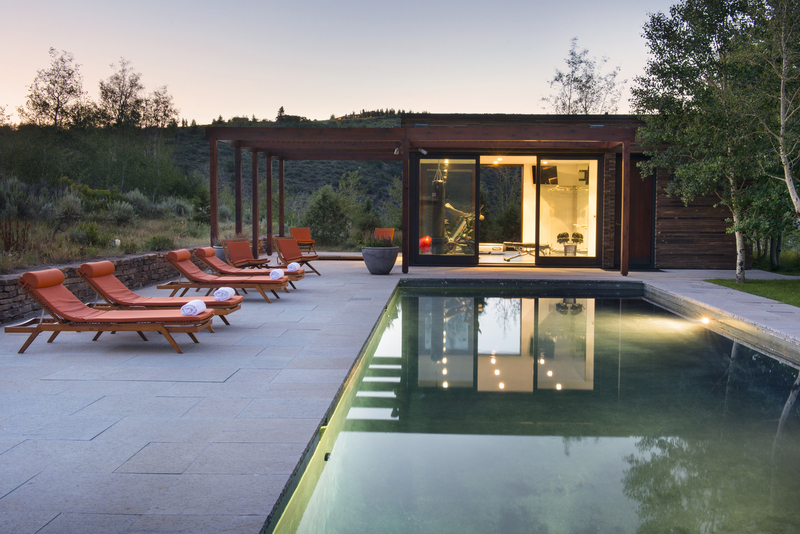 Local materials including copper, field rock, log-pole siding, and beetle kill pine wood all designed to reinforce the relationship between the building and its high mountain landscape. The home includes an additional caretaker’s unit, a gym, pool, greenhouse, and a chicken coop. Walden House is listed for $33 million with Slifer, Smith & Frampton Real Estate and is showcased by Luxury Portfolio.